A while back, I started typing up posts about my kids and their names. Today, I am going to take this name series in a whole different direction. As a Torah Observant Christian, I fellowship with people like myself that love the Hebrew Roots of our faith. This love leads us to study the ancient texts and the Hebrew meaning of the words and names in the scriptures. This also leads to a desire to call our creator by the name He gave Himself and the name His Son, our Lord went by when He walked on the earth. 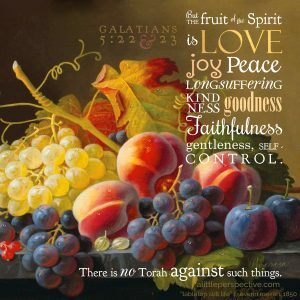 But if you have been around Messianic Jews, Hebrew Roots, and/or Torah Observant believers, you will quickly find there are many different ways of saying these names. Why are some people so dogmatic about the name they use? Is there a way to know for sure you are calling God by the right name? If I call Him, God or Jesus, am I talking to a false god? How do I know the right answer? If you read my blog posts regularly, you will quickly see that I call God the Father many names. But those names are not actually His name, but usually one of His titles. For example, I am called mom, wife, daughter, sister, aunt, etc. I answer to all of these titles, but my name is Katherine Eileen Hirn. God has a name too. First, before I discuss His name, let me establish who I am talking about. I am talking about the one and only true God. There is only one God, He is the creator, and He is the God of the Hebrew and Christian scriptures. There is NO other gods. Allah is not the same as our God, nor is any other god, mother earth, nor anyone else that people pray to. Scripture makes it clear there is only ONE TRUE GOD. Now, that you know I am talking of only the one true God, let’s find out what His name is. In the Bible, He tells us His name. Actually, He tells Moses His name. Here is the passage where God, the creator of the universe, tells Moses His name. Just before Moses asks God what His name is, Moses is herding his father in laws sheep, and he sees a bush that is burning but not burning up. He approaches this burning bush, and a voice comes out of it and says you are standing on holy, sacred, set apart ground. Then this voice tells Moses, He is the God of Abraham, Isaac, and Jacob. Moses talks with God, and God tells Him that He is going to use Moses to rescue His people from slavery. So, Moses is like, “Hey, dude, I am going to say to the Israelites, I came here because the God of your forefathers sent me, and they are going to be like, yeah, right, what is this god’s name? In Hebrew this is transliterated into, “ey-yeh a’ser ey-yeh” I am is ey-yeh. Written in Hebrew like this אֶֽהְיֶ֖ה . Then He says tell them The LORD, the God of Israel, has sent you. 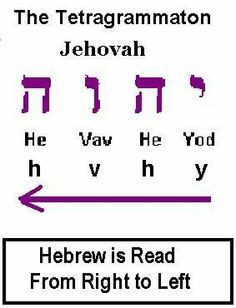 The LORD is transliterated as Ye Ho Vah, or in Hebrew יְהוָ֞ה. So, God tells Moses His name and if you look closely I am and The LORD in the Hebrew is almost identical. Hebrew is a very beautiful and meaningful language. Every letter, every sound has a meaning and a purpose. Every word and every sentence builds a picture. Often word puns are used to help the listener or reader better understand the meaning that the author is trying to get across. This is true here in this story where the God of the universe tells Moses his name. In our English Bibles, this is so limiting in how to understand what or who God is. 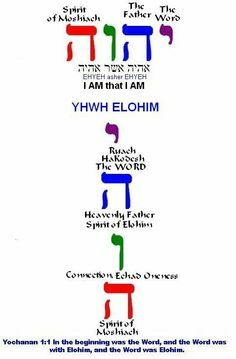 But in Hebrew, each of the letters and words has multiple meanings when we understand those meanings, we realize that God is actually saying I am eternal. I was before time, I am now, and I will be after time. Then when God says I am The LORD, the God of Israel. It also sounds so simple, but in Hebrew, He actually is resaying I am and always will be, I am eternal. When we realize that God actually says my name is Yod Hey Vav Hey, in Hebrew. We realize that all the times we read Capital L Capital O Capital R Capital D, in our English Bible that it means something completely different. It is in the original Hebrew manuscripts His actual name, יְהוָ֞ה. So, now because of technology and availability to ancient manuscripts of the Holy Word, we realize we have been calling our God by a title, LORD, instead of by His name. So, His name is spelled in Hebrew, Yod Hey Vav Hey. But there is some more confusion among God’s people on how this name should be spoken or written. After a lot of research, I choose to call God, Yehovah. I believe that is the proper pronunciation. But many, many people call him Yahweh, Jehovah, and even some call Him, Eternal. There are many different ideas of what we should call our Lord and God. Then there is the Jesus vs. Yeshua people. I have met people that will not say, Jesus, at all. 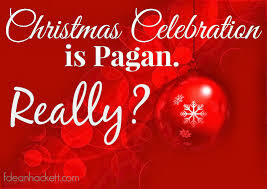 Because they believe that the Jesus of the modern church is a false god. 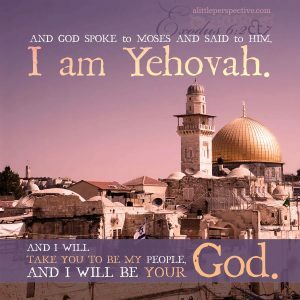 There is no debate amongst Hebrew speaking people that Yeshua is the proper way to say the nickname of Yehoshua, and that this nickname is the name of the Christian Messiah. 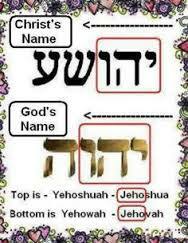 Yehoshua is Hebrew for English, Joshua, and Yeshua is a nickname for that name sort of like Josh in English. So, why do Christians call their Christ, Jesus? This is a Greek name that actually is just made up. It has no meaning or power. The Bible translators just didn’t know how to translate Yeshua into Greek. On a side note, Christ is also a Greek word, that means Messiah. If you go through your new testament and changed all the Jesus’s to Yeshua and all the Christ’s to Messiah, you would be amazed at how powerful the meaning and understand of those scriptures become. So, are the people correct that are saying Jesus is the wrong name? Should we only and always use the Hebrew names of God the father and God the son? Here is my personal view on this issue. I grew up in a Christian home. When I was a young child, I prayed to Jesus and asked Him to be Lord of my life. I truly believed in the Bible, and who I understood Jesus to be from the scriptures as I best understood them at that time. 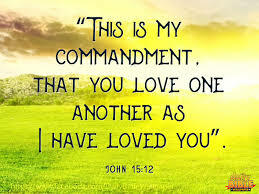 As I grew in my relationship with Jesus, I soon realized that God the Father and God the Son are one, and that God wanted to have a relationship with me. I saught after the one true God with all my heart. I knew him as Lord, God, and Jesus Christ. But I know that I was NOT in anyway worshipping a false god. I truly knew the one true God. So, even though I didn’t learn until a few years ago that God has a name, Yehovah, and His son’s name is Yeshua, I did have a relationship with my Lord and Savior. Now, I prefer, and I believe He prefers that I call Him by His name, because it is Holy, scared, set apart for all eternity, as He told Moses in Exodus by that burning bush. Sometimes, I go places and people call me, Kathy. My name is Katherine, and I usually go by Katie. My close friends and family call me by my name and nickname. But people who don’t know me well often call me Kathy. I don’t mind, and I usually let it go, unless I begin to establish a closer relationship with that person. I think that is how God is. When I was a child I did not know His name, but now I do. So, I think He prefers I call Him by His name. That being said, I am not going to argue with someone about His name, how his name is said, or if you don’t use His name you’re wrong. It is a privilege to know the name of God.